services, and offers workshops and presentations to artists, schools and the general public. approves the recommendations for project artists and policies presented by the PAAC. that can be found indoors or on the streets. installation and is responsible for the ongoing maintenance. 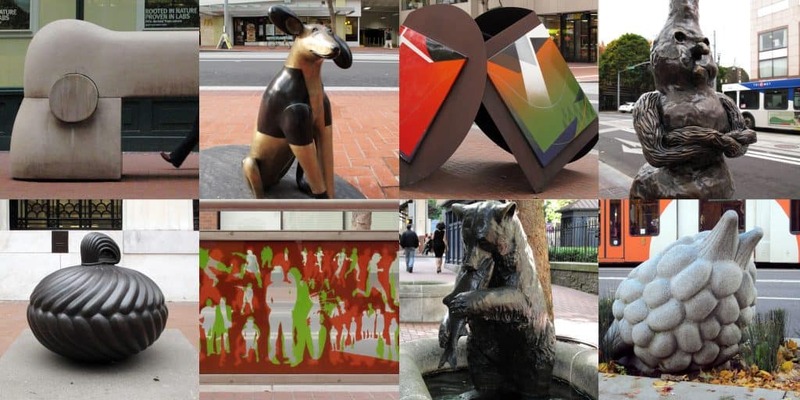 three-dimensional small scale artworks for the City of Portland and Multnomah County. temporary artworks based on their experiences. and experiment with a wide range of inexpensive and impermanent materials. a site specific installation. Funding is provided by RACC’s General Fund. bonus in exchange for providing artworks that are accessible to the public. and Multnomah County. Either existing or commissioned work may be considered. recommends acceptance of any gifts to the RACC Board. to process and criteria for accepting gifts and memorials destined for a Portland park. address the care, handling, placement and storage of artwork in a professional manner. biographies, location histories and photographic images. a careful and impartial evaluation of the artwork within the context of the collection. approval. The criteria for deaccessioning are outlined in the Percent for Art Guidelines. site specific artworks, as well as the 1000+ portable works. general public can find an artist’s work, and everyone can see images of the artwork.